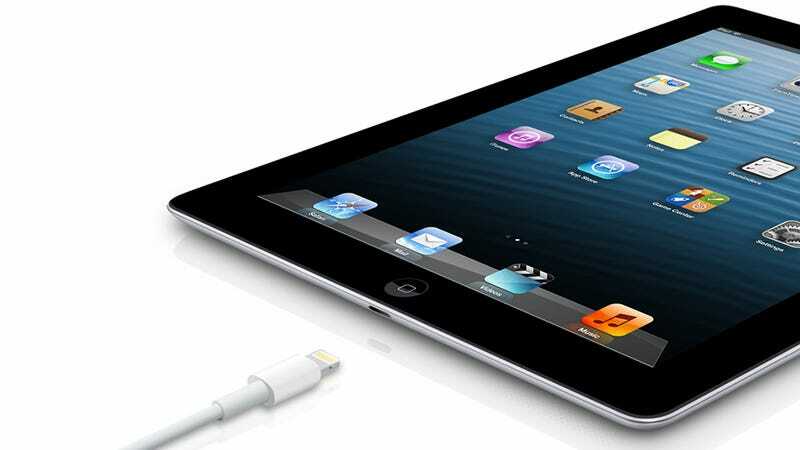 If you’ve held back on getting the latest iPad since 2012's fourth generation, you could be in luck. According to an internal memo obtained by 9to5 Mac, users who need service on that model could walk out of the store with a shiny new iPad Air 2. According to the report, the memo simply states, “Starting March 30th, iPad 4th generation whole unit repairs may be substituted to iPad Air 2.” The fourth generation iPad was discontinued in 2014, but Apple tends to support its devices for up to 5 years after their debut. Customers who bring in a device for repair at locations that don’t offer that service will often be given a new device for the sake of convenience. Now that supplies of the fourth generation are dwindling, Apple has apparently freed its employees to substitute an iPad that’s two generations newer. The iPad Air 2 has also been discontinued but that move only occurred last month, so this is a relatively current tablet and it’s still dang good. The iPad Air 2 did not offer the 16GB and 64GB models, so you’d likely be getting a storage upgrade along with the overall more advanced tech. So, just FYI, if you take your old fourth-gen iPad in for service and they try to replace it with the same model, maybe shop around to see if you get something better. We don’t recommend intentionally breaking the tablet, you never know what Apple might say and you could end up with nothing.